Looking for a delicious snack that won’t knock you out of the Keto Zone? The Keto Zone Diet promotes weight loss by causing the body’s metabolism to switch from using sugar as a primary fuel to using fat as fuel. This means in between meals your cells are gobbling up stored body fat instead of waiting for the next hit of sugar. But sticking to a ketogenic diet can be hard when most snack food is full of processed carbohydrates that will spike your blood sugar and take you out of fat burning mode. No need to fret, however, because we have your back! Here are ten delicious fat burning snacks that will keep you burning fat and feeling good without leaving you hungry and deprived. One of the quintessential keto foods, avocados are an awesome fat burning snack. They are portable and relatively easy to eat. The nutrients in avocados includes highly sought after heart healthy monounsaturated fats. Avocados are also an excellent source of fiber which will help keep you feeling full as well as regulate your digestion. These fatty fruits are also a great source of minerals such as potassium, copper, and magnesium. Minerals are essential to the proper functioning of the mitochondria in your cells which regulate energy production. To top it off, avocados have a host a energizing B vitamins as well as vitamins K, E, and C.
One of the easiest and most enjoyable on-the-go keto snacks is nuts and seeds, for they are jam packed with nutrition including vitamins, minerals, and antioxidants. Some great options loaded with healthy fats include macadamia nuts, almonds, pumpkin seeds, and sunflower seeds. Beware, however, as many nuts contain a fair amount of carbohydrate. Cashews are one of the biggest offenders here. This doesn’t mean you can’t eat them but just that you should exercise caution. A small handful of nuts and seeds should be all you need. It is also important to recognize that soaked and/or sprouted nuts and seeds are lower in carbohydrate and easier to digest. The enzymes in the seed have been activated making the nutrients more bioavailable. Sprouted nuts and seeds can be bought at the health food store or simply made at home. Now that cholesterol is no longer demonized as the harbinger of heart disease as it once was, eggs are reclaiming their place as a healthy and nutrient dense food. Hard boiled eggs are easy to make, portable, and incredibly delicious. The egg white is mostly bioavailable protein in favorable ratios. This protein will keep you feeling full and help stave off carb cravings. The egg yolk is where all the fat soluble nutrients are including choline, calcium, selenium, folate, and DHA. Like avocados, these mediterranean wonder fruits are great sources of heart healthy monounsaturated fat. Olives also have a considerable amount of fiber to promote gut health and satiety. Additionally olives have an array of nutrients including antioxidant vitamin E, iron, copper, and calcium. Other antioxidants in olives include oleuropein, tyrosol, and oleonalic acid. These will help calm inflammation and fight free radicals that lead to belly fat formation. Who doesn’t love cheese? Well, some people. Especially those who are lactose intolerant or sensitive to casein! However, that’s why raw cheese is the way to go. Lower in casein content than pasteurized cheese, raw cheese is also more nutritious. The heat of pasteurization can destroy the delicate nutrients in the cheese. And there are a lot of nutrients! Cheese is loaded with fat soluble nutrients such as A, D, and K.
If lactose is an issue, try to find a mild goat cheese such as goat cheddar. These can be just as delicious as cow cheese but have far less – if any – lactose. In fact, goat milk is much more similar to human milk than cow milk. Portable, delicious, and nutrient dense, beef jerky is a great keto snack! Make sure to look for grass-fed beef whenever possible. This can be found in most health food stores. Conventional grain-fed animals become sick from their unnatural diet. This means they must be fed antibiotics to combat infections that arise lowered immunity and poor living conditions. Beef is not the only kind of jerky either! There are lamb, turkey, pork, venison, and salmon jerkys available as well. Each of these can be a great ketogenic snack. If you don’t mind stinking up the room, canned fish can be an awesome nutrient dense keto snack. Cold water fish such as salmon and sardines are great source of the essential omega-3 fats EPA and DHA. Tuna is a great option as well, especially if you love tuna salad (made with canola oil-free mayonnaise of course). But keep tuna to only once or twice a week as it is generally high in the heavy metal mercury. This is because it is higher up on the food chain and mercury bioaccumulates. Whether you make them at home or buy them in a bag, you can’t really go wrong with kale chips! Kale chips are easy to make at home and can be seasoned to your liking. Very low in carbs compared to other types of chips, kale chips also offer an impressive array of nutrients. This includes potassium, vitamin A, and vitamin C. There are also trace amounts of calcium, magnesium, and phosphorus. When eaten in moderation blueberries can be a wonderful keto snack. Despite their fructose content, blueberries are high in soluble fiber which slows the absorption of carbohydrate and promotes satiety. Blueberries are also wonderful sources of antioxidant polyphenols which will fight free-radicals and lower inflammation. Additionally, the polyphenols in blueberries also promote lymphatic flow. Blueberries are great detoxifiers for this reason. As lymphatic flow improves, the lymph transports toxins from the cells to the digestive tract to be eliminated. The fiber in the blueberries then binds to toxins allowing them to be safely eliminated from the body. Emphasis on the dark! Look for chocolate that is at least 75% cocoa. The less sugar, the better. Despite the carbs, a high quality chocolate can be a powerful ally in weight loss. Chocolate is another rich source of antioxidant polyphenols. Chocolate also contains flavonoids which can help with insulin resistance. Chocolate also contain theobromine which can help reduce stress which is a leading cause of overeating and weight gain. Don’t overdo it, though! A little goes a long way. One or two squares depending on sugar content will be enough. 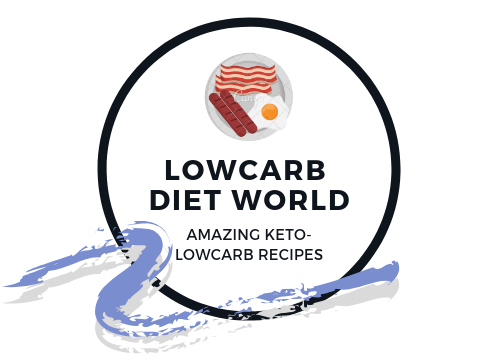 Try these delicious keto approved snacks and see if you feel more energized, focused, and satiated throughout the day. Low carb snacks help you avoid blood sugar swings which result in low energy and the need to eat again. Keto snack allow you to tap into the slow and stable burning fuel of stored body fat so you can lose weight while living your life. No more thinking about food every couple of hours! Who knew that you could eat such delicious snacks and still burn fat?